I love this time of the year. Summer time on a farm is a great time because that is when we harvest so many wonderful things to eat. 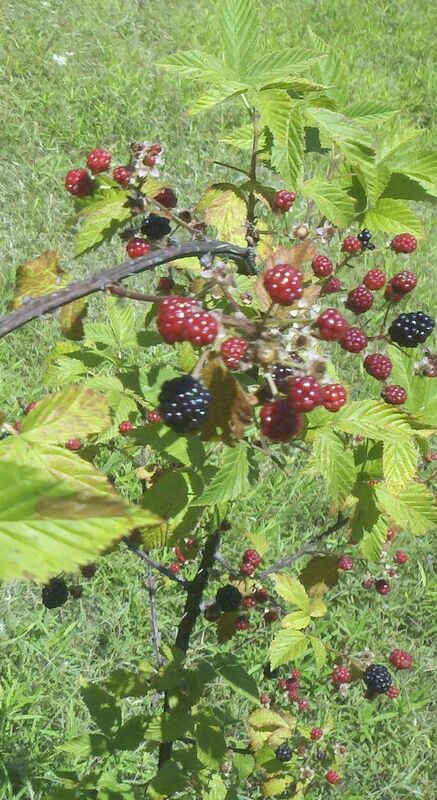 Today, we were out harvesting blackberries! 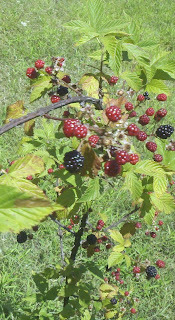 We have close to 50 producing blackberry bushes on our property. 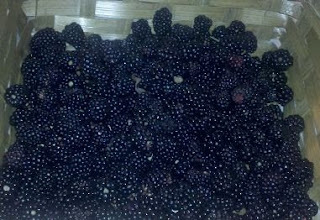 As you can see by the above picture, we will have to go out and pick the ripe berries several times a week because the berries do not all ripen at the same time. We do not mind though. We love going out as a family and enjoying nature and working as a team. A nice batch of freshly harvested blackberries! We could never eat this many blackberries without them going bad so we often dehydrate them. We also make a lot of Blackberry Muffins. My mouth is officially watering. 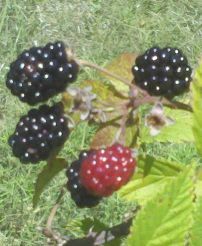 Blackberries are my all time favorite. For me and our pack of little bears (aka kids). Such a joy to meet another homeschoolin momma. I can hardly wait to glean from your expertise. Delighted to meet you. I hope you don't mind if I splash around to get to know you a bit more. This looks like a refreshing place to dip into some goodness. I'm also on the hunt for ideas to splatter some joy into our summer. I would love to hear your ideas. Come splash with us! Sarah, Thanks for dropping by. Always glad to hear from other homeschoolers! My kids picked half a grocery sack of blackberries for me a couple of weeks ago. Those became jelly. I want them to pick more. They don't want any more poison ivy! With Grandchildren comes much Joy!